It's magnolia time at Kew. They've brought another touch of spring to the gardens--not only do their flowers look beautiful, but their scent is ever so lovely. Spring is in the air now. 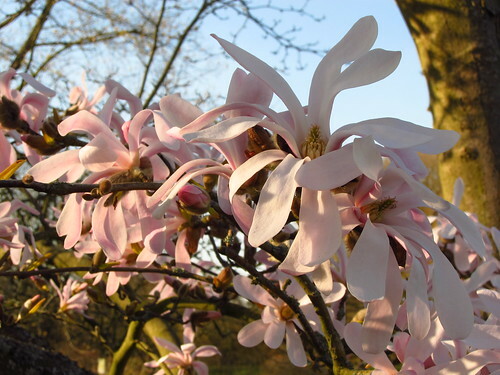 The magnolia collection can be found off the Princess Walk, near the Azalea Garden. 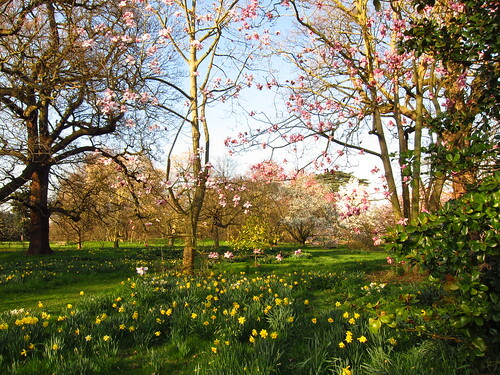 It's a beautiful place, there are daffodils growing underneath the trees, their yellow flowers complimenting the pink and cream of the magnolia blossoms. 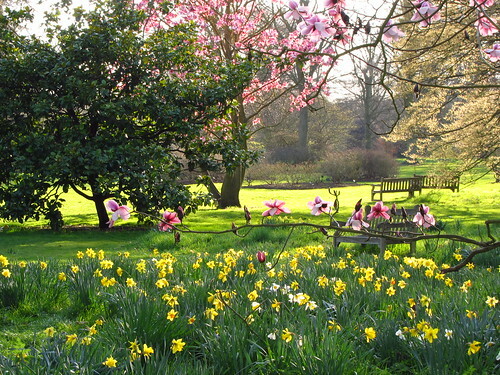 There are many benches to sit and enjoy this sweet spring scene.